Backed by a skilled team of professionals, Supreme quality Ice Cans. This high functionality ice cans is precisely designed by our adroit professionals using excellent quality components and advanced technology. Our offered ice cans is extensively praised by our valued clients for its high-utility features. Moreover, this ice cans is examined at our quality testing unit before the final delivery. 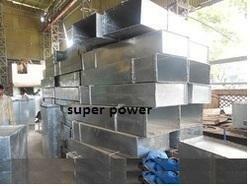 Super Power Group is a reputed company for offering kirloskar compressor spare part, sabroe compressor spare parts, carrier voltas compressor spare parts, mycom compressor spare parts, viltar compressor spare parts, grasso compressor spare parts, frick compressor spare parts, metalex compressor spare parts, trane compressor spare parts, k g khosla compressor spare parts, copland compressor spare parts, air compressor super power, ckd generator pistons, skl generator pistons, skoda generator piston, attendance system, color doppler system, security cameras, refrigeration compressor spare parts, medical equipment. Our products are trusted for supreme quality. We have been ruling over the market for more than one quarter of a century with our quality products. With our relentless pursuit for quality and innovation of each and every product we have established a strong relationship with our clients. The products prepared at our unit and distinguished for their specific features and efficiency. We believe that you are genuinely interested to enter into the business relationship with long term focus and hence, we take this opportunity to initiate the dialogue for mutually rewarding relationship. It gives us immense pleasure to introduce ourselves as one of the leading company in this domain since last thirty five year. Now we have capability to prepare all range of products. Our policy is that quality means conformance to clients requirements. We believe in meeting these requirements consistence by providing quality products at competitive price on time.